On Tuesday 4th October 2016, the Permanent Missions of Norway and Switzerland and the Universal Rights Group (URG) will host a lunch reception to mark the launch of the yourHRC.org Guide to the 2016 UN Human Rights Council Elections in New York City. 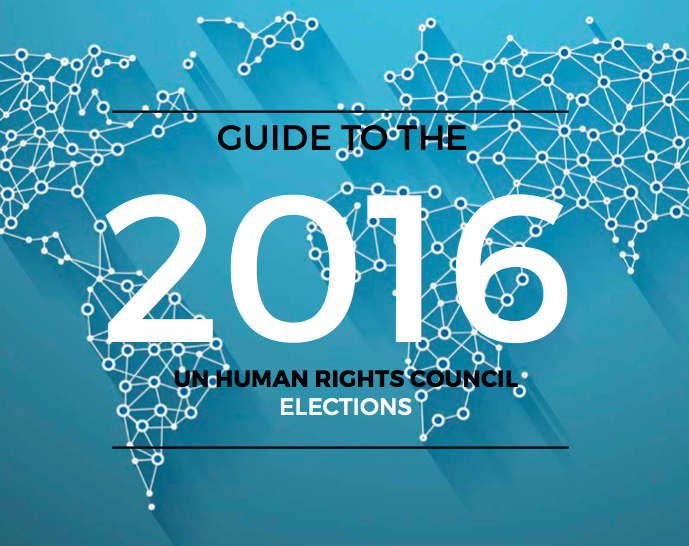 The report is the second annual yourHRC.org Guide to the Human Rights Council Elections. It provides general information on the 2016 Human Rights Council elections (scheduled for the end of October at the GA in New York), when States will compete to win seats for new three-year terms (2017-2019). The Guide is divided into six parts. 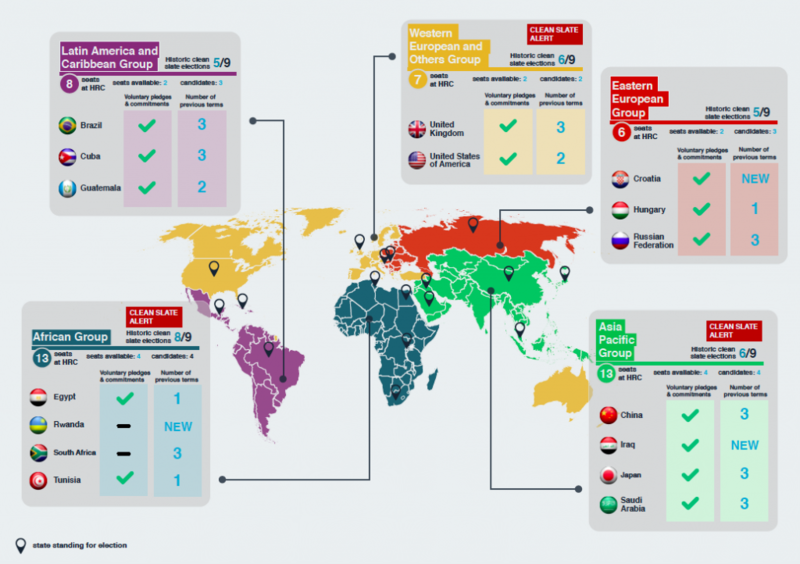 The first part presents an overview of the 2016 elections, the number of seats available, and the candidates in each UN regional group vying for those seats. The next five parts of the report present more detailed comparative information on the candidates for each of the five UN regional groups. This includes objective information on the State’s historic engagement and cooperation with the Council and the wider UN human rights system, its voting record (where the country concerned has previously been a Council member), an analysis of its new voluntary pledges and commitments (for the 2016 elections), and an analysis of the extent to which it fulfilled its previous voluntary pledges and commitments (again, where the country concerned has previously been a member).